The use of content marketing in financial services is nothing new, but it has developed differently and has taken diverse shape and forms. 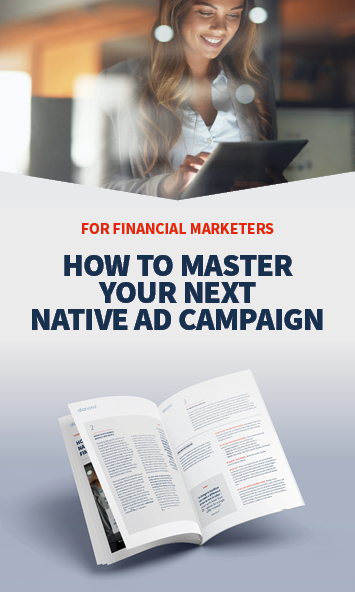 In our "Mastering Native Advertising in Financial Services" strategy paper, we take a deep dive into the strategies that drive success in financial native advertising campaigns, from customer trust to campaign measurement. Title * Mr Mrs Miss Ms. Dr. Revd. Prof.
For enquiries contact [email protected]. This service is provided by dianomi™. dianomi™ does not specifically recommend the products or services specified above and shall not be liable for any actions taken in reliance on this content.